1.) Colorado Trail – This is a 500 mile trail from Denver to Durango, the same distance as the Camino de Santiago in Spain. It crosses 8 mountain ranges and some spectacular Colorado landscapes. Plan on 4-6 weeks to complete the entire trail if you are going to hike it all at once. If you can’t get this much time off not to worry. This trek is made up of 28 segments and many choose to hike parts of the trail each year. Planning resources for the Colorado Trail here. 2.) Continental Divide National Scenic Trail – This trail extends 3,100 miles from Canada to Mexico and of course follows the continental divide. It is considered one of the greatest long distance trails in the world and is along with the Pacific Crest Trail and the Appalachian Trail is part of the triple crown of long distance hiking in the United States. It passes through Colorado for 650 miles of amazing trails. Around 150 – 200 people complete the entire trail each year which takes almost 6 months. Hundreds of thousands of people complete sections each year. In Colorado there are many 1 week, 2 week or 3 week options for hiking sections of the trail which passes through the Collegiate Peaks Wilderness, Mount Elbert and Mount Massive (Colorado’s highest peaks), Rocky Mountain National Park, Wolf Creek Pass and the trail crosses 14,270 foot Grays Peak. This happens to be the highest point on the entire trail. 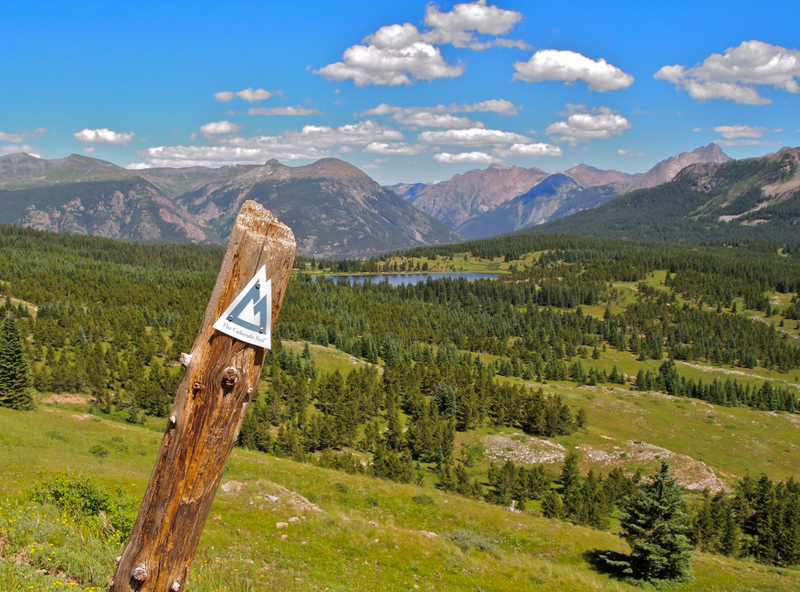 Planning resources for the Continental Divide National Scenic Trail here. 3.) West Maroon Trail – This is for those that want something a little less intense. This 11 mile (1 way) hike from Aspen to Crested Butte is absolutely gorgeous and takes roughly 6 hours to complete. You can take it easy and hike halfway, camp, wake up, hike into Crested Butte, stay at an amazing B&B, then hike back to Aspen the next day. Bring your camera because the wildflowers in the part of Colorado are spectacular. You will also find incredible views of Maroon Bells, one of the most photographed places in Colorado. Planning resources for the West Maroon Trail here.